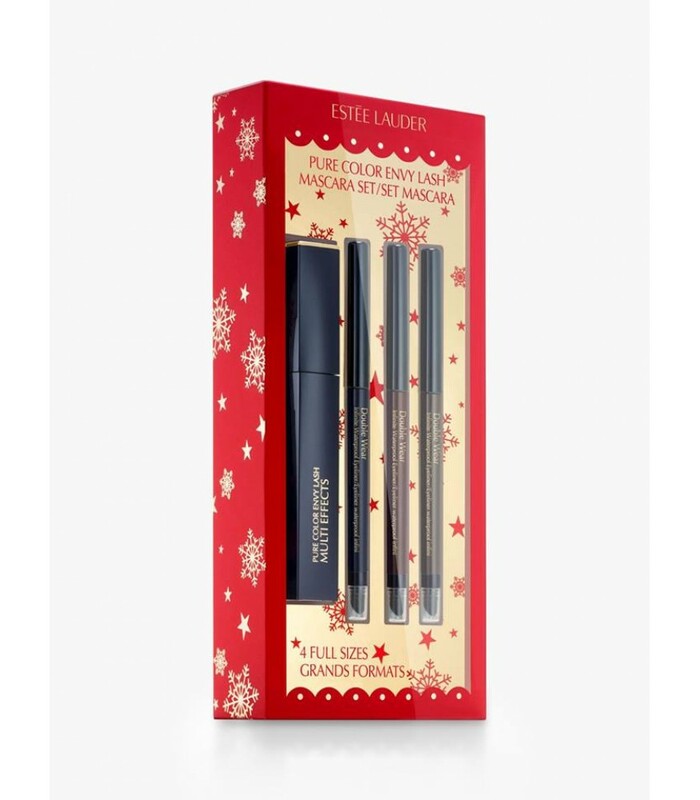 1.ტუში სრული პროდუქტი(შავი) -Pure color envy lash multi effects mascara . 2.წყალგამძლე თვალის ფანქარი სრული პროდუქტი შავი-Double wear infinite waterproof eyeliner. 3.წყალგამძლე თვალის ფანქარი სრული პროდუქტი ყავის ფერი-Double wear infinite waterproof eyeliner. 4.წყალგამძლე თვალის ფანქარი სრული პროდუქტი გრაფიტი-Double wear infinite waterproof eyeliner.